This entry was posted in Questions and tagged Exclusive Psalmody, New Song, questions, Sing a new song. Bookmark the permalink. I heard this one again recently. I noticed it was not on the question list so I am adding it here. Please chime it with any thoughts or quotes that might be helpful to those who are investigating EP. Yes! You’re right! ‘hymns and spiritual songs.’ Reverent and reformed hymns celebrating the glories of the new covenant. “Some writers appeal to the “new song” mentioned in Revelation 14:3 as scriptural authorization for the composing of “new songs” today. A study of this phrase in Scripture, however, will prove that the biblical phrase “new song” has nothing to do with composing new uninspired songs after the close of the canon. ‘A new song’ in the Psalms very simply has reference to a ‘song of praise’ to the Lord as Psalm 40:3 well illustrates: ‘And he hath put a new song in my mouth, even praise unto our God: …’ Of course ‘praise unto our God’ in public worship refers to the Psalter as this site so well demonstrates. Go to the new and deliciously different lyrics of the Psalter and find there the very words which will thrill your heart and give your mind words which it and Jehovah Jesus will not find more fitting and satisfying anywhere else. Go to them again another time and find the very words new once more, fresh with new discoveries of your soul’s expression and fellowship with the Father. Pastor Daniel Kok explained this well!! There are 9 new song references in the scriptures, 6 of which are found in the Psalms alone: Psalms 33:3; 40:3; 96:1; 98:1; 144:9 & 149:1; Isaiah 42:10; Revelation 5:9 & 14:3. 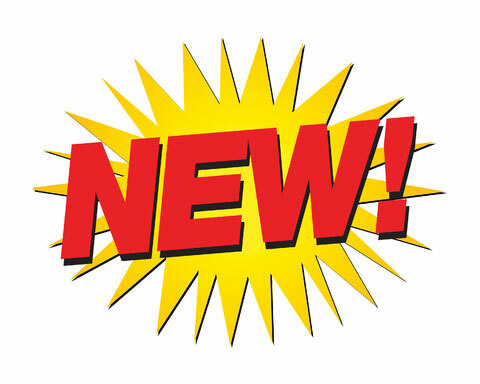 1) In every reference the command or the description is that of a “new song,” (singular) not new songs (plural). This is significant in that ‘new songs’ (plural) would refer to an ongoing collection of songs to be written whereas ‘new song’ (singular) would refer to a particular song with its own particular elements and requirements. 3) This is demonstrated in the Psalms, where the phrase “new song” is primarily placed at the beginning (not the end) of the Psalm suggesting that the Psalm is, in fact, the content of the new song. 5) We see this clearly in Psalm 40:3 which reads “He has put a new song in my mouth.” In this verse David, who was the “sweet Psalmist of Israel” (2 Samuel 23:1), acknowledges that the new song has been given to him by God. This could not more clearly refer to the inspiration of the Holy Spirit. Moreover, the missionary zeal of the Psalmist is especially suited for our day and age as throughout this majestic book the nations are not only called to bow before the God of Israel but were also promised as one day joining God’s people in worship. Though this had not yet occurred at the time the Psalms were collected as a book, as believers sing the Psalms today we see these rich and precious promises being fulfilled before our very eyes (see Romans 15:8-12). 9) In Revelation (5:9 & 14:3) a “new song” is sung in the heavenly realm where the saints are ‘contributing’ to the prophetic whole of the book. It is not a new song in terms of being written by someone for a particular occasion (as with an uninspired hymn). Rightly then G.I. Williamson has noted: “To learn a new song, taught by the Lord, is very different from writing a new song of our own.” Furthermore the song in Revelation 14:3 cannot even be learned except by the redeemed of God. That the church is a mixed multitude here below reinforces that this song cannot be an example of new compositions in the militant church for we are not all redeemed in the here and now. 10) The new Jerusalem descends from above; it is heavenly in origin and God’s creation (Revelation 21:2). Likewise the new song does not originate with man but with God. 1. “It was Benjamin Keach, and not Isaac Watts as is commonly thought, who was the first Puritan to write hymns of human composition. The first hymns of Watts were published in 1694, while those of Keach had appeared thirty years earlier. Commenting on the phrase ‘a new song’ found in the Psalms and in Rev. 14:3, Keach writes, ‘A new song,’ signifies a new song which praises God for new benefits received from him… This shows other spiritual songs may be sung besides David’s psalms in gospel days.’” [quoting Benjamin Keach “The Breach Repaired in God’s Worship” page 129] John Price, Old Light on New Worship: Musical Instruments and the Worship of God, a Theological, Historical and Psychological Study, Avinger, Texas: Simpson Publications, 2005, pages 118-119. 2. This is consistent with the composition of the song in scripture which is inspired of God. As Michael Bushell argues, “they [commands to sing a new song] do not constitute a warrant for us to produce uninspired worship song any more than they did for the Old Testament saints.” Bushell, Michael. Songs of Zion: A Contemporary Case for Exclusive Psalmody (Third edition). Pittsburgh: Crown & Covenant Publications, 1999, page 95. 3. Vos, Johannes G. “Ashamed of the Tents of Shem? : The Semitic Roots of Christian Worship.” The Blue Banner. Faith Presbyterian Reformed Church. PDF article. 4. See, for example, Psalm 67. 5. Psalms 22:27-31, 72:11 & 86:9. 6. Comin, Douglas. Worship from Genesis to Revelation. Unpublished manuscript. 7. Williamson, G.I. “The Singing of Psalms in the Worship of God.” Center for Reformed Theology and Apologetics. Ed Welsh. Web. January 23, 2016. 9. Dabney, R.L. Lectures in Systematic Theology. Grand Rapids: Baker Book House, 1985, page 357.